Hi Barb, I decided to come visit your blog after you commented on mine, and I think you've got some great pictures. 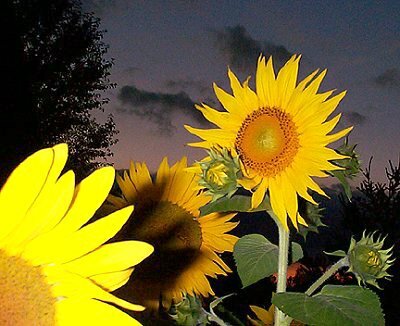 I really like this sunflower picture! I should have commented earlier. Every time I see this photo, I am impressed with your use of artificial light to let each of these beautiful flowers be the subject of the photo, and the supporting cast for each other. Great shot!